Well known as the “Coca-Cola” route. As the only route that has the luxury of sleeping huts along the way, the Marangu routeis popular among those who want a bit more comfort while undertaking this classic trek. It has a gentle slope for the first several days, before the tough summit attempt from Kibo Hut. Regarded as the least difficult of routes, Marangu is the most popular route on Kilimanjaro. The soon on Your arrival at Kilimanjaro International Airport (JRO), there will be a private transfer waiting at the airport to pick you to Kilimanjaro Mountain Resort in Marangu. All airport transfers are the part of the package, no extra fee is required. Normally March, April and May are the months with long rains and should be avoided. November is usually short rains but it is not often rains all the days so Climbing is possible. The best Months for climbing Mount Kilimanjaro are January, February and also August and September. July can be colder and November to December can be wet. January to February is the warmest months, almost clear of clouds each evening and morning. The success rates with our guides are outstanding compared to the overall success rates for all climbers who attempt to reach the top . Summit Success Rates: Gilman’s Point (99%). Uhuru Peak (97%). We stay at Kilimanjaro Mountain Resort, which is a beautiful Hotel located on the lower slopes of Mount Kilimanjaro and is a perfect place to prepare you for adventure. We will gather in the evening at 5:30 pm for a pre-climb briefing and an equipment check. We will also confirm you have the appropriate mandatory medical coverage and travel insurance. Day 8: Departure to Zanzibar. After the thrills and excitement of your Trip, you will say goodbye to ourKilimanjaro team, then we will transfer to your Hotel , for a long shower, dinner and beer, and get ready for your flight to Zanzibar . all customers travelling with Kuwa Huru Tanzania Adventure are required to have fully comprehensive travel insurance. Day 10: Safari Blue Tour. Depending on your flight schedule and departure time, it’s possible to do another activities before your departure time, then you will be transferred to the Zanzibar Airport to take a flight back home. If you are flying out of Dar es Salaam or Nairobi, we will arrange a connection flight for you to catch your flight back home, don’t forget to come Buck. 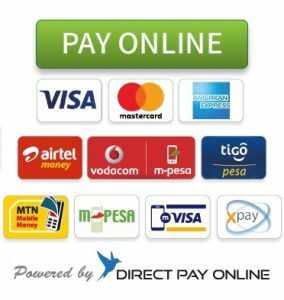 All Kilimanjaro National Park Gates fees, camping fees and climbing permits. Porter to carry your duffel bag (max weight 15 kg / 32 lbs) from one camp to the next camp. Highly recommended travel and medical insurance.